Raia is a wooden table that manages to transmit lightness and elegance despite its solid construction. This is only possible by combining the best techniques of craftsmanship with the most technologically advanced machinery. 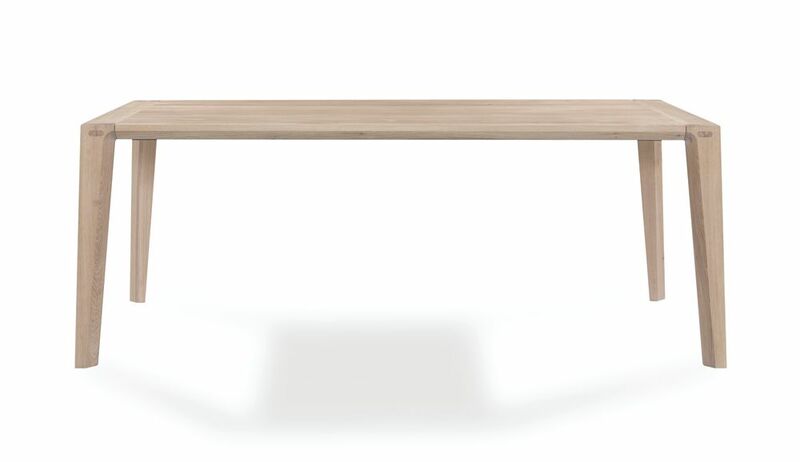 A functional and versatile table, great solution as a dining or a desk. "Gud Conspiracy is a project of the designers Paulo Neves and Alexandre Kumagai, based in Oporto, Portugal. The project was born of a long-standing friendship between them. After accumulating a large experience, Alexandre as senior designer at de la Espada and Paulo as senior designer at Alsc, both decided it was time to carry out this experience on a personal project, offering interior and product design services."